As you go south on Highway 20 out of Odessa you pass the ruins of Pyote Army Air Base. 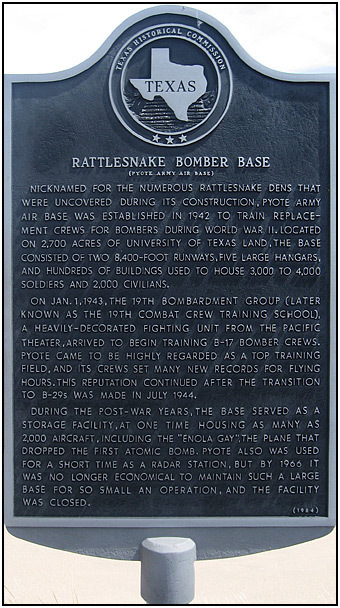 It was nicknamed Rattlesnake Bomber Base because of the prevalence of rattlesnake nests encountered during its construction. For a while after the war the Enola Gay, the bomber that dropped the atomic bomb on Hiroshima, was hangered here.